The Walt Disney Company has release lots of popular movies. Have some Disney DVD movies and want to rip Disney DVD to video/audio files so that you can watch them on devices like iPhone, iPad, iPod, etc.? Haven't found a solution? Don't worry. In this article, you will find a good solution to rip Disney movies to your desired format without any hassles. Though Disney DVD movies are much more complicated than ordinary ones, there are also some DVD ripping programs that can decrypt Disney DVDs and convert them to various popular video/audio formats. 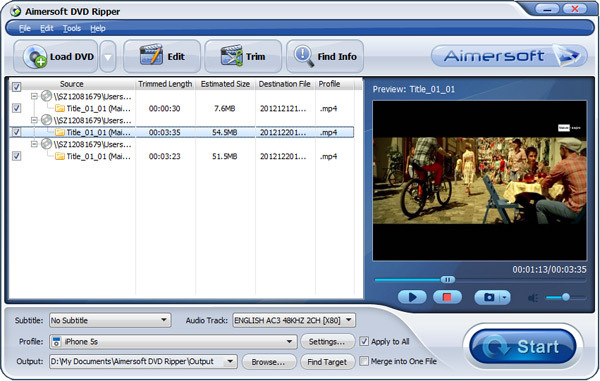 Aimersoft DVD ripper Windows (Windows 8 included) is just one of the best Disney DVD converters. With it, you can fast rip video/audio from Disney DVDs and convert them to MP4, MOV, AVI, WMV, FLV, MKV, VOB, MP3, OGG, WMA, etc. for playing and sharing anywhere you like. If you're using a Mac, turn to Aimersoft Mac DVD ripper software, which allows you to convert Disney DVD on Mac OS X (including Lion and Mountain Lion). Now download the right version according to your situation and follow the steps below. This guide uses DVD Ripper for Windows (Including Windows 8) screenshots. The way to rip Disney disc on Mac is almost the same. Just make sure you've downloaded the right version. Insert the Disney disc into your computer's hard drive and run Aimersoft DVD Ripper. Then click "Load DVD" and import your DVD movies. 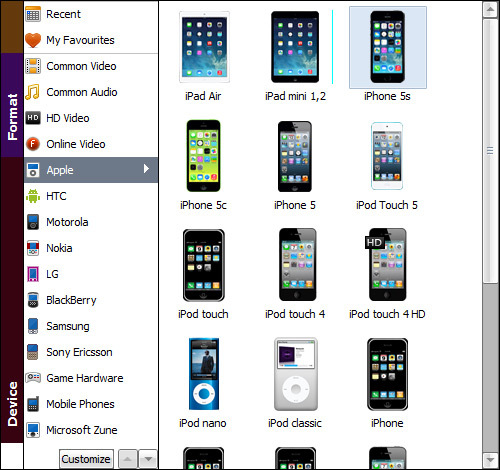 You can also add DVD folders, ISO image files or IFO files to rip. As you can see, you can preview the loaded DVD files in the right preview window and select DVD audio track/subtitle. When all the settings are done, click "Start" on the lower right to begin ripping the DVD to your selected format. When the conversion finishes, click "Find Target" to locate the ripped video/audio files and now just enjoy them anywhere as you wish.